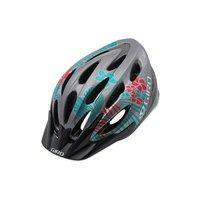 The Skyla is a Universal Womens helmet with an In-mould hardbody. It has 20 vents, rear ventilation, Snap and built-in bug net. It also has a dial Loc fit system. It is size 50 - 57cm and comes in a variety of colours.